Yellow tutu dress with fluffy tulle skirt, This dress has a pretty yellow bow at the waist. 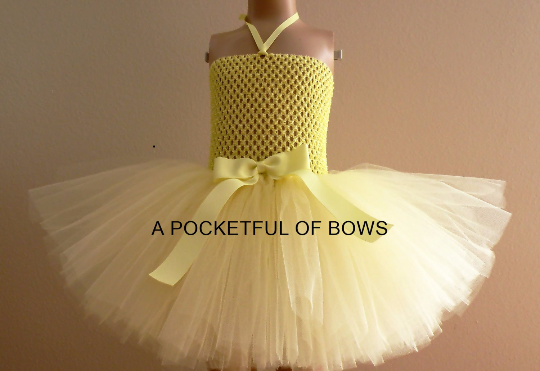 The bow can be attached to the front or back of the skirt. The top has yellow halter straps that tie on the back of the dress. Added Feature: Make my tutu extra fluffy. This feature added more fabric for a fuller skirt.